The third day of my project I created mountains with clouds. Tonight as I was driving home I saw a big moon a couple of days past full with clouds drifting across it. 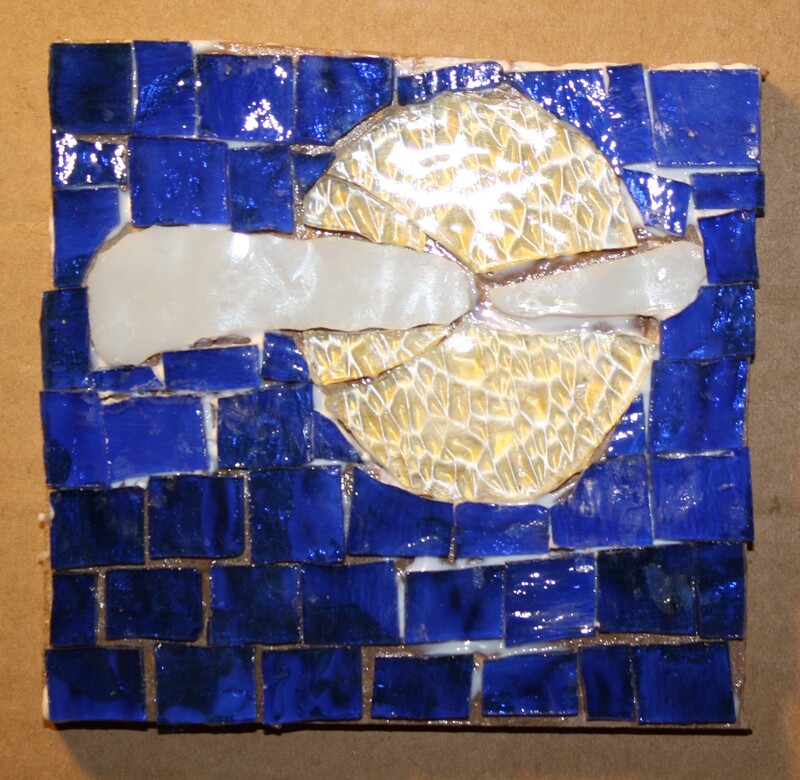 I created my mosaic moon by painting textured, clear glass with silver and yellow metallic paint on the back.